The teenager who died Thursday when a brick chimney dislodged by a gas explosion fell on his vehicle had received his driver's license earlier that day. A family friend said Leonel Rondon’s father took his son to get his driver’s license before dropping him off to celebrate with friends. He said the father later saw the Chickering Road home burning on television, but had no idea it was his son who was killed. 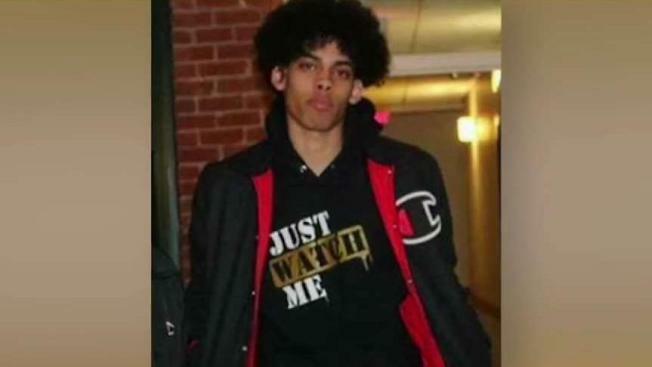 Rondon, 18, from Lawrence, was taken to Massachusetts General Hospital and pronounced dead Thursday evening. "He was a good kid. Always DJ'ing, always trying to better himself in school," said longtime friend Anthony Gil. Gil said "Leo" had just obtained his driver's license a few hours earlier and stopped by the Lawrence home to celebrate with friends. He said the young men were in the car listening to music when the house exploded. "They were just there hanging out. I guess the mom was gonna cook for them...and once she turned on the stove, it blew up I guess," Gil said. Passengers in the vehicle got out and tried to move the chimney but couldn't, The Associated Press reported. Gil said others who were sitting in the SUV were also injured. The extent of their injuries is unclear. Rondon's grieving family said they can't believe the young man is gone. They said instead of helping him celebrate a new chapter in his life, they are now planning his funeral. Rondon, a musician who went by the name DJ Blaze, according to the AP, had just begun his junior year at Phoenix Charter Academy. Lawrence Public Schools said in a statement Friday the community was deeply saddened by the loss of Rondon and recalled the teen's drive to graduate as "a model to classmates." "Staff and students knew him as an outgoing, light-hearted, hands-on learner who particularly loved science and excelled in biology and math," the statement said. School officials said prior to Phoenix Charter Academy, Rondon attended the Oliver School, UP Oliver Academy, and Lawrence High School. "He will be greatly missed both in school and at home, and his family, friends and loved ones are in the thoughts of everyone throughout the Phoenix network and Lawrence Public Schools," read the statement. Grief counselors will be available to students at the schools. Medina said Rondon leaves behind three siblings in addition to his mother and father. Funeral arrangements have not yet been set, but the family is raising money for the services through a GoFundMe page. At least 25 people were injured as a result of Thursday's gas explosions and fires across the towns of Andover, North Andover and Lawrence. Gas and electricity remained shut off Friday in most of the area, and entire neighborhoods were eerily deserted. Authorities said all of the fires had been extinguished overnight and the situation was stabilizing.